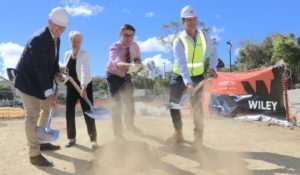 Education Minister Kate Jones today turned the first sod to mark the start of construction of the $5 million multipurpose hall at Wilsonton State High School. “The Wilsonton High school community have been calling for this new hall for many years and I’m so pleased that construction will now get underway on this important community asset,” she said. “The hall will be more than 2000 square metres and includes a multipurpose court, a stage, amenities, a kitchen, change rooms, equipment storage, audio-visual storage, a Kinesiology room and staff room. “The Wilsonton State High School community will be able to assemble and hold sporting and other events in their own hall rather than having to use the Toowoomba State High School hall. The contract to build the hall has been awarded to Wiley, a design and construction company established in Brisbane since 1918 with a local office in Toowoomba. “We are excited to be delivering this project for the Queensland Department of Education and Training,” Wiley Business Operations Director, Simon Spittle said. Ms Jones said the Advancing Queensland School Infrastructure initiative was helping develop many important and much needed infrastructure projects at schools across the state. 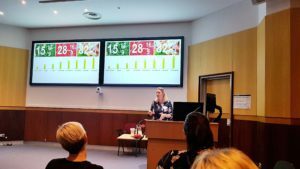 “So far 21 projects have been tendered through AQS with two hall projects awarded including the hall for Wilsonton SHS,” she said. Wilsonton State High School Principal Marcus Jones welcomed the news construction was beginning on the new hall. 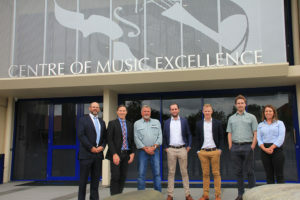 “It’s an exciting time for our school as the new hall will provide us with a critical piece of infrastructure that will enable so many cultural, sporting and administrative activities to take place in a modern, purpose built facility,” Mr Jones said.